Pope Francisissued a scathing rebuke of Catholics who prioritize some church laws and doctrines ― including those condemning abortion ― over fighting for the poor and the oppressed. An apostolic exhortation isone way the pope can formally counsel the Roman Catholic Church around the world. 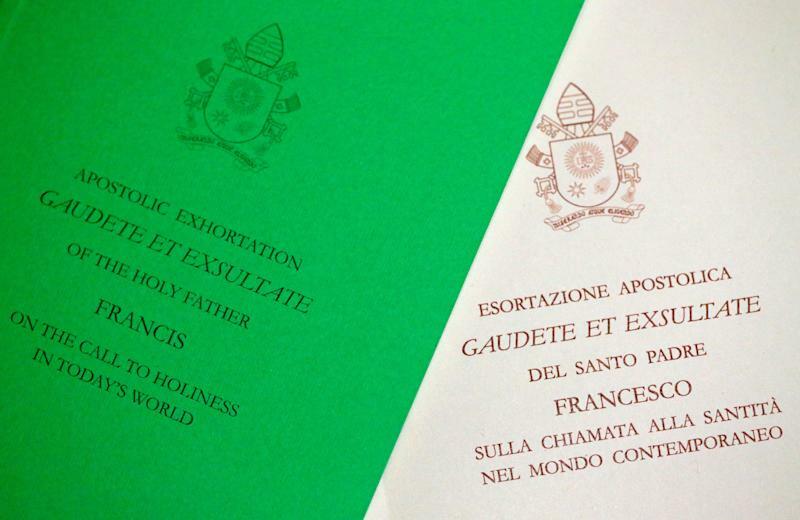 The document released Monday, titled “Gaudete et Exsultate” (Rejoice and Be Glad), is the third such exhortation of Francis’ papacy. It wassigned March 19, The Associated Press reports. Francis is still facing backlash over his second exhortation, the 2016 “Amoris Laetitia” (The Joy of Love), which appeared to suggest that divorced and civilly remarried Catholics could potentially receive Communion. That would be a break from long-standing Catholic tradition. Conservative cardinals and bishops have beenpressing Francis to clarifyhis stance on the matter. Just last Saturday, several hundred Catholicsgathered for a summit in Rome to discuss who may receive Communion. The participants rejected the idea of allowing divorced and civilly remarried individuals to do so and urged “the pope and the bishops to confirm us in the faith.” One of Francis’ fiercest American critics, Cardinal Raymond Burke, said during the summit thatthe pope should be correctedif he steps outside the traditional teachings of the church.